Our clients bought a property outside of Purcellville, Virginia with a house built in the 1990's and the intention of renovating it more to their liking. After careful review of the home and requested changes, it was determined to be more cost effective to build a new home on the existing foundation. We designed a bungalow style house with period inspired details that would make the home true to its era. 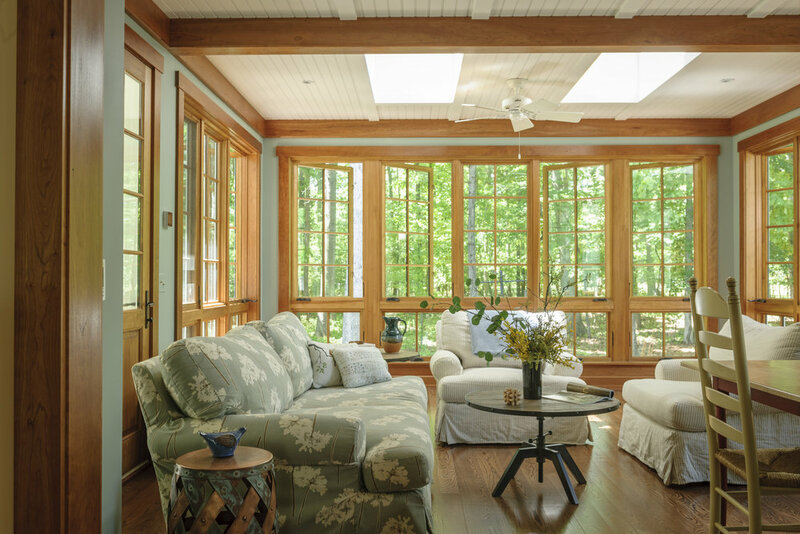 A sunroom was situated in the rear of the home nestled in the trees giving the neighboring kitchen easy access to the terrace and garden beyond and equally ensuring the home is harmonious with the surrounding landscape. 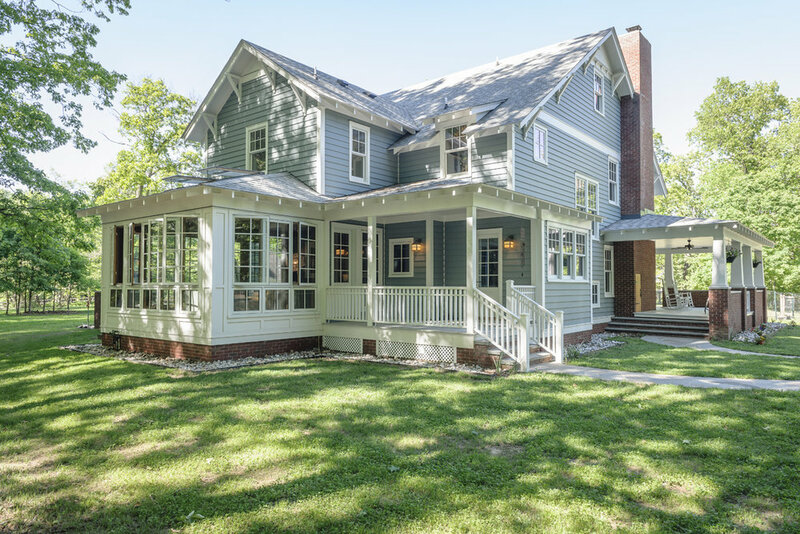 In addition, the home’s modest size, cherry wood paneling and distinctive molding, built-in bookcases, arched doorways and a 10’ deep porch were all key details important to our clients and synonymous with Bungalow-Style Craftsman Homes.